The number of children who have access to the internet continues to increase. 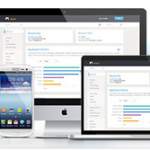 The internet is easily accessed through cell phones, iPods, tablets, and other mobile devices. With all this access, it is hard for parents to monitor everything that is going on all the time. 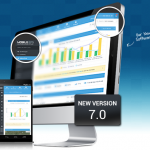 There is a new revolutionary way to monitor internet usage on mobile devices. 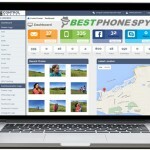 It’s called PhoneSheriff, and it is a parent’s best friend. 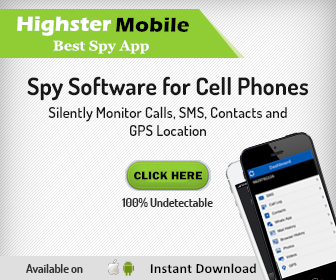 This software will monitor every aspect of a child’s cell phone, while running in stealth mode, so the child will never know they are being spied on. 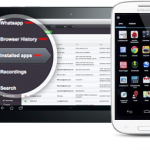 If you really want to know what your child is looking at while on the internet, PhoneSheriff will provide a detail log of sites visited, duration, how often it is visited, and any downloads that were done. It’s important that you go over safe internet usage with your kids. Here are some key internet safety rules your child should know. The golden rule about not talking to strangers is also valid on the internet. Yes, even if your child is a teenager who knows it all, it is important to reinforce this rule. Reassure them that many predators lurk on the internet, and it’s important to just follow the simple rule of not talking to strangers. Explain to them, that even though they seem friendly, their intentions are not what they seem. Reassure them that not everything that people say on the internet is true. Parent Tip: Being open and honest with your children can go along way. Be honest that the world is not filled with happiness. Children need to understand that bad things can occur anytime and anywhere. Reassure your child that they need to tell you when something goes wrong, or if they have had a bad experience online. Hiding it can cause even more problems. Be honest about the evils that occur online, like cyber crimes and cyber bullying. Do not completely scare them, but make sure you present this in a way that they understand and are comfortable with. This will help them be honest with you when things happen online. Parent Tip: Making your children aware is smart. Do not be shy about these issues. If you are not honest with your children, someone else will be. When you present this issue to your child, you will be reassured that it is presented in the correct way. 3. No password sharing with friends, but share it with parents. Make it very clear, that sharing passwords with friends is prohibited. However, tell your children they are not allowed to have an account of any sort without you okaying it and knowing the passwords. This can be a hard rule for children to understand, but it is a very important rule to enforce. This will help deter them from mischievous behavior. The PhoneSheriff software helps add an extra layer of protection, because if you catch them not following this rule, you can enforce punishments. Parent Tip: It is important to know who your child’s friends are, but stress to your child that some people have bad intentions. If a password gets into their hands, they could cause destruction to their lives. This can be a very hard thing for children who are teenagers to accept. They are in a transition where their hormones are thinking, and their brains are not always logical. So, when you deny certain sites, this can be a very hard thing for your teenagers to accept. They have to understand that you have their best intentions at hand, even when it means denying access to sites that all their friends are part of. PhoneSheriff will help you reinforce this rule, because you will have constant access to what apps and websites they are partaking in. This will also help you know if your child is following the internet rules you have set for them. Parent Tip: Just be very honest about why you are not allowing them to be a part of the internet site that is in question. Tell them some of these sites can cause lifetime consequences, and you are only enforcing this rule because you have their best interest in mind. Hopefully, your teenager will understand, but be prepared to stand your ground. Limit the time your child has on their digital devices, because they will spend the whole day on the internet, chatting, texting, and game playing. Winter breaks and summer vacations are one thing, but your children need to understand that homework, school, and other important activities need to come first. Parent Tip: It is best to enforce leaving all digital devices at home when at school, and only allow them to use their digital devices after all other work is completed. Do not allow your children to auto save passwords and usernames to their devices, because if the device is left unattended anyone could access accounts and cause a lot of damage. 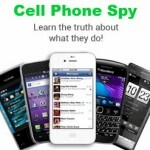 PhoneSheriff will allow you to have access to all social media posts, emails, text messages, and apps. This will help you know if your child is being cyber bullied or partaking in a cyber bully activity. Parent Tip: Explain the consequences that are involved with saving things in a place that can be easily accessed. Discourage them from autosaving usernames and passwords because anyone can access their social sites if the phone is left unattended. Children will share their phones with their friends, and cyber bullying can run rampant when there is a dispute between the friends. Encourage your children to be honest about the information they are sharing online. Highly discourage them from sharing any personal information like where they live, phone number, age, name, and other personal information that could be misused. Be honest about how individuals may misuse this information. 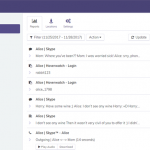 PhoneSheriff will allow you to see what information is being shared with other users. Parent Tip: Provide real life examples and what consequences was caused by sharing personal information. This will help your child see the reality of how dangerous it can be if the personal information falls into the wrong hands. 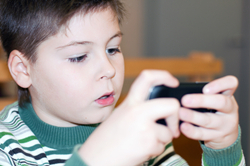 Make sure the apps and games that are being downloaded are age appropriate for your child. 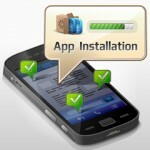 Place a rule that you must provide any app that is being installed on the device, otherwise there will be consequences. Parent Tip: Set the rules and enforce punishment when your child breaks these rules. This will help them know you mean business. Parenting is a hard job, but you need to talk about internet safety with your children and enforcing rules. 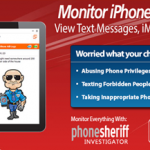 The PhoneSheriff software can help you monitor what is happening, and if your child is following your rules. Keeping your child safe is important. Although, they might not understand these rules now, they can help keep them from experiencing life long consequences. Be honest with your children, enforce punishments when necessary, encourage your children to talk to you when problems arise, and just be involved with everything your child is partaking in. Your children will learn to understand why it is important for them to have a good relationship with you, and these rules will become second nature to them.